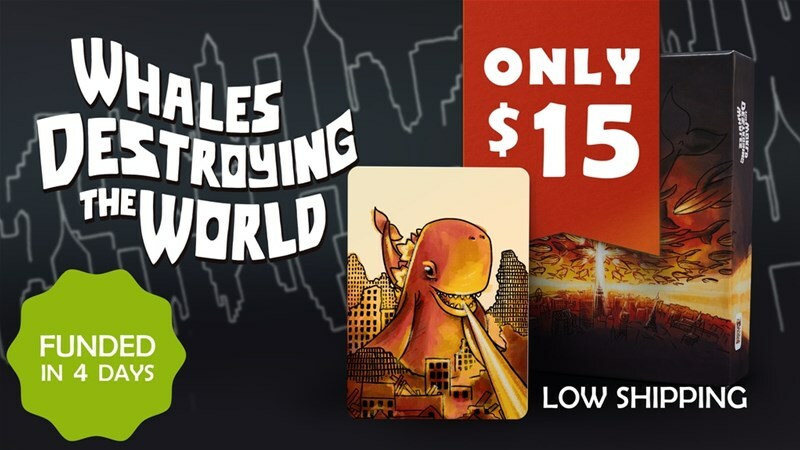 Whales Destroying the World is a bluffing set-collection game for 3 to 6 players with a funny theme, quick (yet strategic) gameplay and beautiful art. Players take roles of whale generals preparing for war with humans. They compete to build the strongest army possible. One of the players is a superspy, secretly working to stop the attack. The campaign's making its way to 3x its funding goal, but with only 9 days left to go.